WordPress is a great platform and is growing in popularity worldwide. If you have a WordPress website then chances are you have installed various plugins to accommodate your business/stores needs. One thing that comes with installing plugins however is that these require regular updates to keep your website up to date and secure. But don’t worry updating your plugins is not hard and we are here to help! Before you make any change on your wordpress website it is always a good idea to have a full backup. 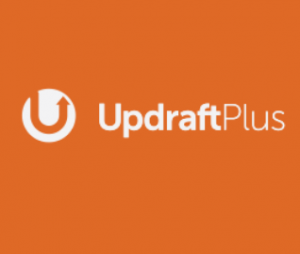 Personally I love Updraft plus which can be downloaded for free HERE. Updraft plus has the option to run automatic backups weekly and includes backup storage options such as dropbox or google drive. You can run a full backup or just a database backup. You also have the option to only restore part of the website such as plugins only shall you come into issues after updating your plugins. Before You Update, Read this! Before you update the plugin, it’s important that you click on the View version details link to see what changes the plugin author has made. This will keep you informed as to what changes were made should anything not work properly. Unless the version details specifically say security update, we usually wait one full week before updating the plugin. In this time, all errors usually get caught, reported, and fixed. If you have a heavy traffic site that is generating a lot of leads, then we recommend you to do the same. WordPress comes with a built-in update system. It automatically checks for updates and shows you notifications when there are updates available for your WordPress plugins, themes, and WordPress core software. You can also manually check for updates by visiting Dashboard » Updates page. When there is a new update available for plugins, you will see the notification on the plugins menu in the WordPress admin bar. You can install these updates by visiting the Plugins page. You will see a notification below each plugin that has updates available for you to install. You can just click on the ‘Update Now’ link to install each update. If there are updates for several plugins on your website, then you may want to quickly review and bulk update those plugins. To do that, you need to visit the Plugins page and click on the ‘Update Available’ link. This will show you the list of all plugins that have updates available. You can select all of them and then select ‘Update’ from the ‘Bulk Actions’ drop down menu. Sometimes a plugin update can produce unexpected results like some plugin features may not work properly. In that case, first you will need to deactivate that plugin. If you can access the Plugins page in WordPress admin area, then simply click on the ‘Deactivate’ link below the misbehaving plugin. After that you can install the WP-Rollback plugin. For more details, see the step by step guide on how to install a WordPress plugin. Upon activation, go back to the Plugins page, and you will be able to see a rollback option below each plugin. Clicking on it will allow you to rollback the plugin to any previous version. For detailed instructions, check out the guide on how to how to rollback WordPress plugins. If you are unable to access the WordPress admin area, then follow the steps in this guide on how to deactivate all plugins when not able to access WordPress admin area.